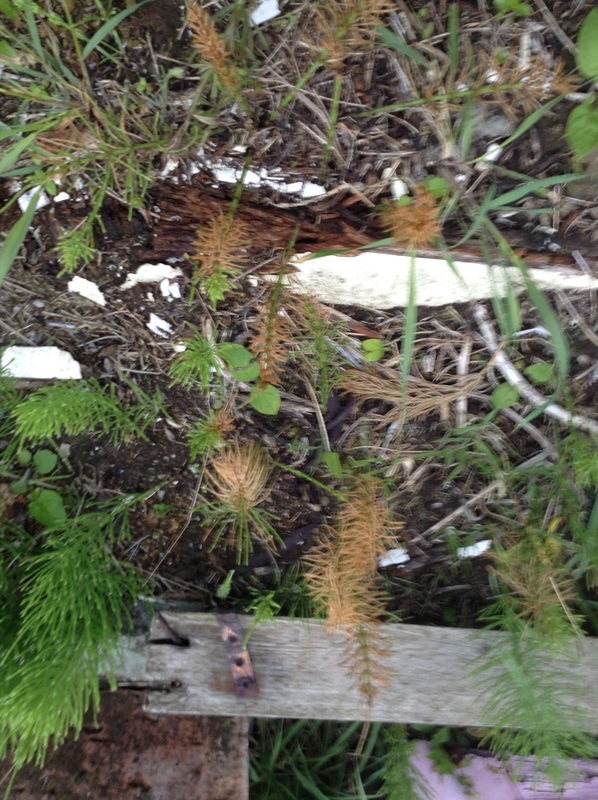 John McKinlay has been killing off weeds on the community plot and has reported that Roundup was killing the horsetail (see pic). He said “I tried it twice in case it was an accident. I applied the spray from directly above the weed. That way it hits more of the cone of the weed but I am thinking there might be pores in the plant that allows the weed killer to penetrate the horsetail. Roundup will be cheaper that that other, horsetail specific weed killer. Thought this might be of interest to those plot holders whose plots are affected by this weed.